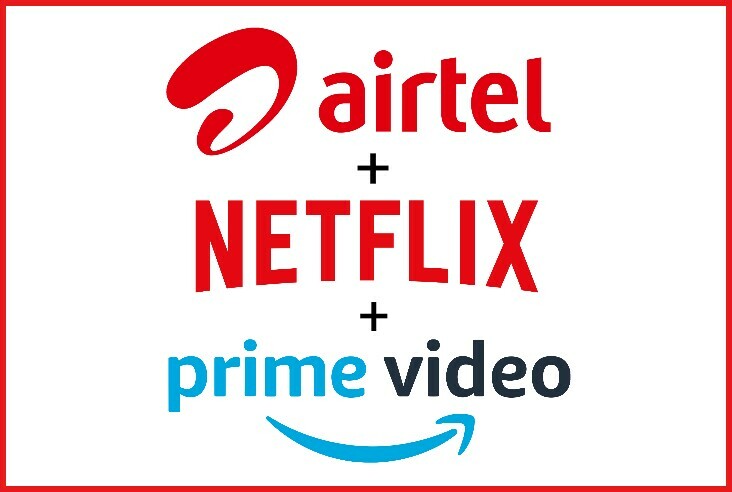 Bharti Airtel has recently announced that its giving free subscription of netflix and Amazon prime videos to their postpaid and boardband user in the selected recharge plans. Airtel providing 500rs of Netflix and Amazon prime videos account in the special recharge recharge plans which starts from 399 Rs. If you want to know how can i grab this offer? Read and follow this post till last. As you all know that Netflix and Amazon prime Videos became very popular video streaming site which is providing huge amount of videos collection. But before watching videos on this platform you need to subscribe their plans. With airtel you dont have to buy any additional subscription for next 3 months if you have a boardband connection or a postpaid connection. You just need to recharge your airtel postpaid connection or boardband connection with the minimum recharge of 399 Rs. How to grab/get this offer? Open the App and Register with your Airtel number which is inserted into you mobile. You will find different types of offer, recharge offer, Shopping offer, Wynk subscription etc. To get Netflix subscription.. Click on Unlock More benefit. You will find the Amazon prime membership and Netflix subscription which locked. To unlock and use that offer you need to recharge your airtel postpaid Or Boardband connection to avail that offer. When you recharge you boardband or postpaid connection with the Airtel Recharge plans mentioned above you will get Amazon prime membership and Netflix subscription. How to Recharge Airtel Recharge ? If you want to know how to recharge airtel postpaid or boardband then Visit here to get all type of information related to recharge. If you are a video love any want to watch lasted episodes of different type of video series then Netflix and Amazon prime videos is useful for you. Now If you are planning to buy a subscription of Amazon prime membership or Netflix then it is useful to do Airtel postpaid Recharge or boardband recharge because you will receive 3month or 1 years of subscription absolutely free. If you have any kind of doubt feel free to ask.. Comment below if you have any kind of problem regarding this post. Share this post on Facebook and let know this offer to your friends.